Lights Out, Chairs Up! Turtle season 2018 is beginning! 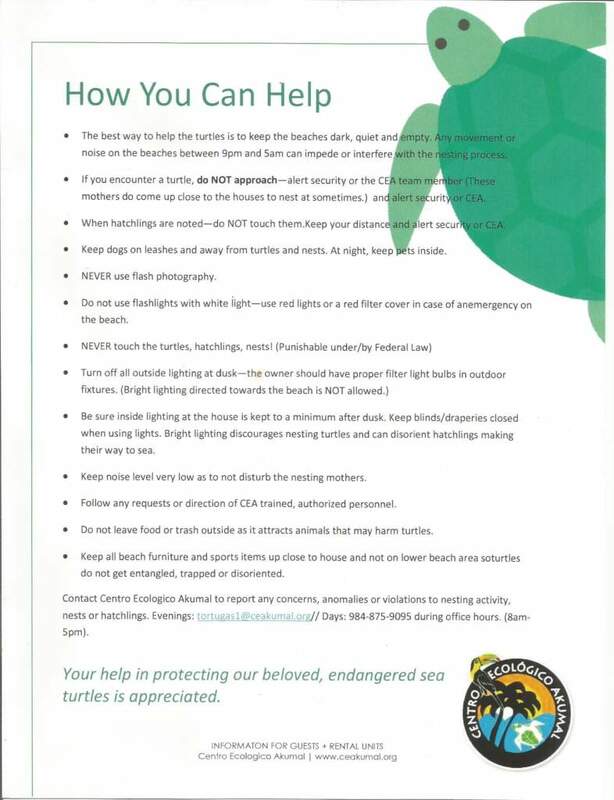 Those who are regular visitors during turtle season along with the full-time residents of the Akumal area, know the drill and the importance of adhering to it. 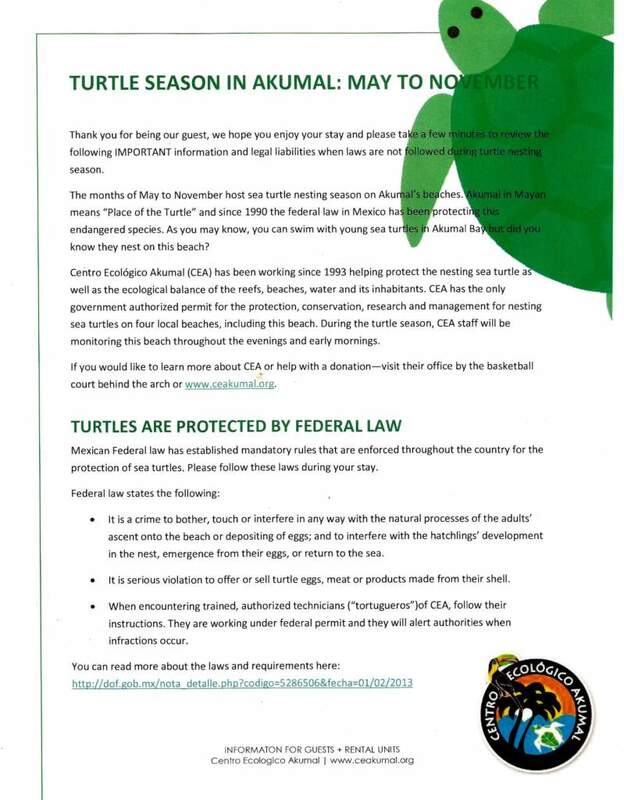 Those who are first-time visitors will see below the information on appropriate behaviors and procedures to have a safe and enjoyable experience — for both turtles and people! Any questions/reports may be directed to CEA at 984-875-9095, or talk with security personnel on your property.